Custom made to work with the Sandspike® each line has a 9″ loop on one end for connecting to the Sandspike® and a stainless steel clip on the other for connecting to your watercraft. Both ends are triple stitched for added strength. All lines are made of 100% solid braid polypropylene, are completely washable, colorfast, UV protected, floats and always stays soft. The Custom 8 color lines are in stock and ready to ship. 7/16″ Anchor line for your Anchor! Same quality line used for all of our lines! 8 colors availible. 3/16 Stainless shackle and thimble with custom matching bag! Drop anchor approximately 35′ from shore. Step off, pay out bowline, and Anchor Buddy Pulls out your boat. Attach your bowline to your Sandspike and go have fun! Retrieve boat by pulling in bowline, step aboard and Anchor buddy safely pulls you back out. Great for floats and markers! We also use them with the Anchor Buddys so the clip doesn’t stretch back and disappear under the water! It’s easy to use and more accurate than any other throw line on the market. Guaranteed!!!! Used by Fire departments, Rescue Units, Police and Sheriff’s departments and Government agencies. 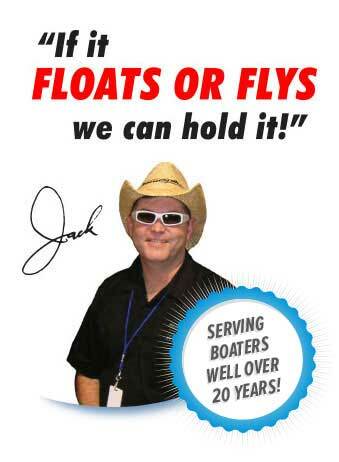 A must for all boats and a necessity for all law-enforcement agencies. Available in Orange and Yellow only. Top Knots Life Buddy TM is a safety throw bag containing 60′ of FLOATING yellow rope. The rope has no “memory” so will uncoil smoothly every time it is thrown. A loop on the thrower’s end has an attached beadless whistle to summon help. The aerodynamic design of the bag makes it easy to throw accurately up to the full 60′ of line. Two loops on the bag end of the line give a secure hand hold for the person being rescued. A float keeps the bag and the loops readily accessible to the person being rescued. Every Boater should have one!